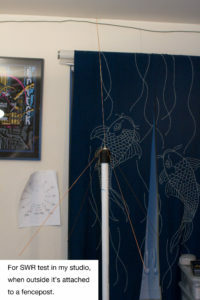 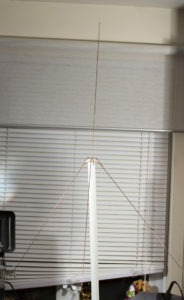 My first project with MakerBot Cupcake #235 was an antenna mount for a 2m ground plane antenna. 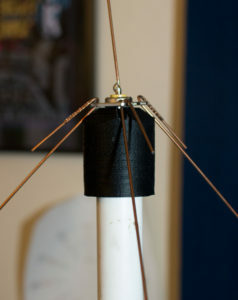 This is one of the first antennas you learn to make after getting your amateur radio license using only brass rod, screws, and solder. 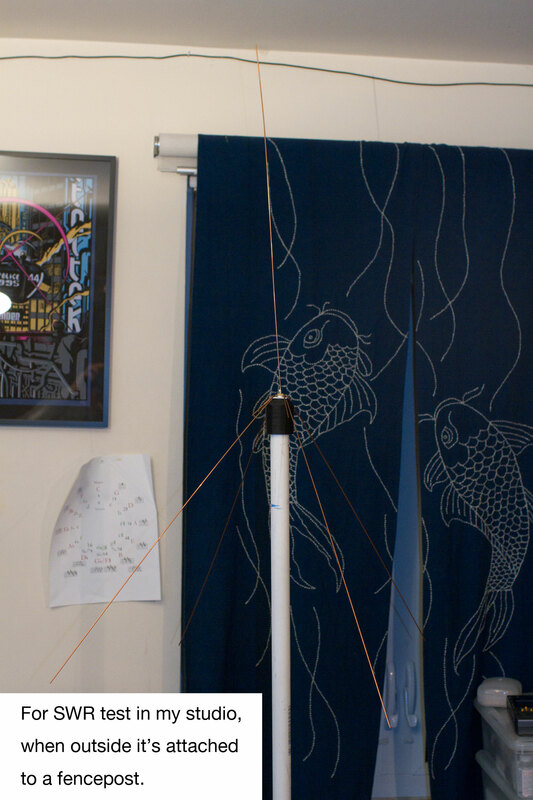 Instead of going the traditional route of soldering and screwing the antenna beams to a lug, I designed a 3d printed mount that can be used to make a collapsible ground plane antenna out of a section of PVC pipe. 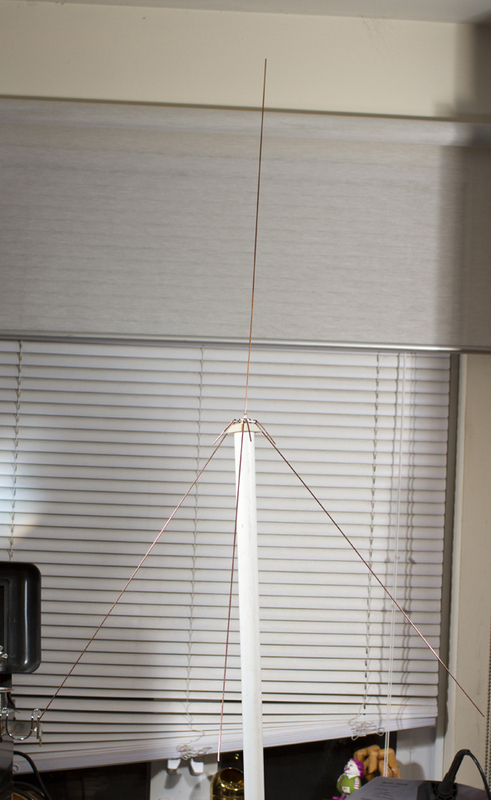 After upgrading to a printer with better resolution I redesigned the mount for stability using a shaft that fits around the PVC pipe.